As if the action on High Stakes Poker wasn't enough. 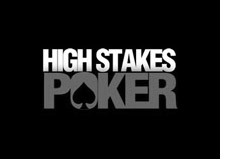 The first half of High Stakes Poker this season (which starts on August 27th) will run as it normally does. Some of the top players in the world will put up $100k to play in the high stakes cash game. This will result in a table that has five million dollars on it, with some of the best players in the world. This should make for some really, really good poker. Apparently, according to people who played in the big game, if you are expecting super tight and nitty action, you will be surprised; the action is fast and furious, with multiple people getting stacked and losing their $500k minimum buy-ins. This should be an absolutely great season of High Stakes Poker, and the King can't wait to tune in and watch.